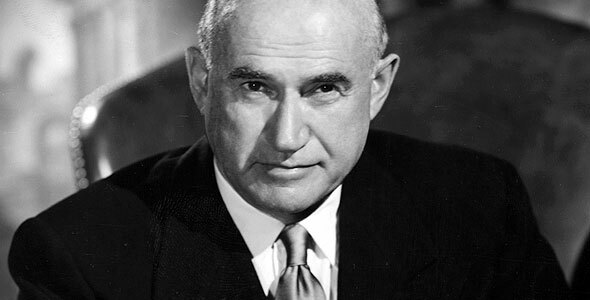 Movie mogul Samuel Goldwyn (pictured above, he’s the G in MGM) was famous for a number of sayings/malapropisms during his decades in the business. One of his most enduring is the phrase “include me out” – a request to withdraw from the Motion Picture Producers and Distributors of America in 1933 after a labor dispute. The phrase has lived on through the years, and now it seems especially appropriate to quote Mr. Goldwyn in light of Arizona’s efforts after the 2012 election. You might have missed it with the focus on the impact of Hurricane Sandy and long lines in Florida and elsewhere – but Arizona had a staggeringly high number of provisional ballots in 2012 that led to long delays in counting and mounting frustration in communities already raw from the state’s long-running immigration battles. In the aftermath, it appears that the large numbers of provisional ballots was not a consequence of voters’ names missing from the rolls but instead the large number of them who were enrolled on the state’s Permanent Early Voting List (PEVL). Like many states that have embraced early voting, Arizona allows voters to join the PEVL as soon as the time of registration. Analysis of the provisional ballot data in Arizona suggests that voters did so in huge numbers in 2012 – meaning that if they showed up to vote in person on Election Day, they were required to cast a provisional ballot. With the 2014 midterm elections on the horizon and Latino voter groups expected to sign up tens of thousands of new voters, significant changes in election systems are under way in Maricopa County to try to avoid problems that marred the 2012 elections. Arizona found itself embarrassed on the national stage in the weeks after the 2012 election as record numbers of provisional and early ballots went uncounted for two weeks after the polls closed, leaving key races hanging in the balance. The solution, county and state election officials declared as the furor unfolded, was more voter education so the same mistakes wouldn’t be repeated. The chief culprit in the delay: Voters on the permanent early-voting list cast their ballots at the polls — but they were provisional ballots, because election officials had to ensure after the polls closed that they hadn’t already voted by mail. More than 80 percent of the provisional votes eventually were validated in Maricopa County, but the process took too long. Registered voters’ ballots that were not counted were invalidated chiefly because voters went to the wrong polling place. • Changing the color of early mail-in ballot envelopes to yellow so voters won’t gloss over them as another piece of election detritus. • Launching an extensive campaign to educate voters to turn in that early ballot rather than vote provisionally at the polls. • Developing an electronic voter roll for all polling places that functions with the scan of a driver’s license or voter- identification card. The county has already spent $3 million on the project, with the Arizona secretary of state earmarking $1 million in federal funds to help pay for it. The electronic voter roll would allow poll workers to print a receipt for voters who went to the wrong polling place that would show them the correct polling place, complete with the major cross streets. To make early ballots stand out, the county has changed the color of its ballot envelopes to bright canary yellow. “This will be hard to miss in the mail — it’s hideous,” [Assistant Secretary of State Jim] Drake said as he held up a sample of the county’s ballot. The new electronic voter roll, or e-roll, will give workers at each polling place access to information on every voter in the county. Until this year, poll workers had a binder with only the information of registered voters at that precinct. Workers had to guess the right polling place for wayward voters by referring to an imprecise precinct map. Osborne said having the confirmed location and a receipt showing where it is should cut the number of people voting provisionally. It could also reduce the number of provisional ballots disallowed. One potentially interesting result of Maricopa’s program is the fact that it appears to be the only county proceeding with these kinds of changes for now (though Pima County may experiment as well) – the resulting effect on provisional ballots and other indicators will be a useful test of the efficacy of this two-pronged approach. Be the first to comment on "Include Me Out (UPDATE): Maricopa County to Make Changes to Prevent Repeat of 2012 Problems"